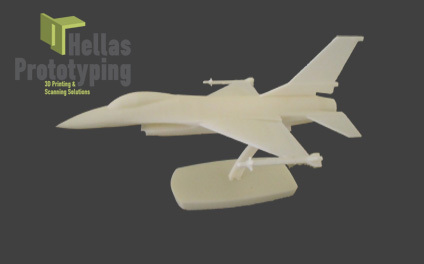 Hellas Prototyping brings your design to life through additive manufacturing and specifically by the Fused Deposition Manufacturing (FDM) process with the aim of a Dimension Elite 3d printer. The parts are built by plastic material (ABS) in white color, but can be further painted in any color customer wants. This process offers a very good functional testing, strong parts and finally great feature details. Any model which is larger than these dimensions can be built in parts. Send us your file in any of the following file formats: IGES(.iges), STEP(.stp), STL(.stl), 3D studio (.3ds) and we will give you a quote. In addition, Hellas Prototyping offers a 2D to 3D conversion so you can send your files in DWG/DXF file format in order to get a quote.